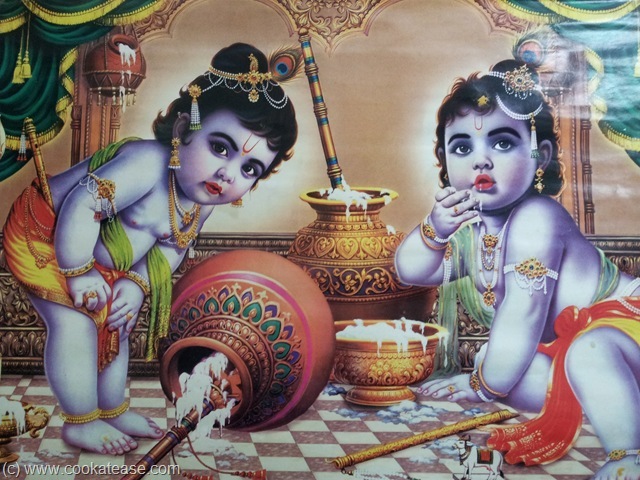 Lord Krishna’s birthday is celebrated as ‘Janmashtami’, ‘Gokulashtami’, ‘Krishna Jayanthi’ in India. 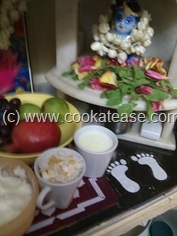 This year in Tamil Nadu, the birthday is celebrated on August 21. 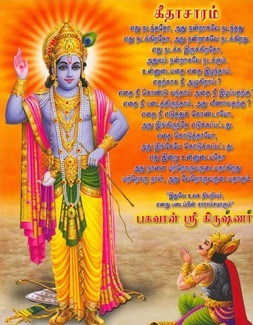 Bhagavad Gita tells us how, when, where and why Lord Krishna takes birth. 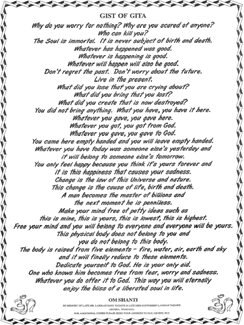 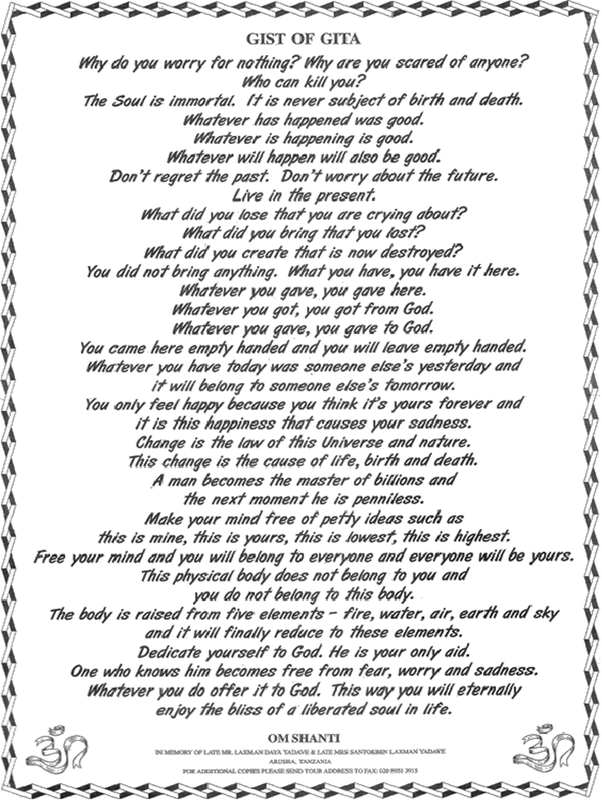 I have no beginning; though I am imperishable, as well as Lord of all that exists, yet by My own will and power do I manifest Myself. 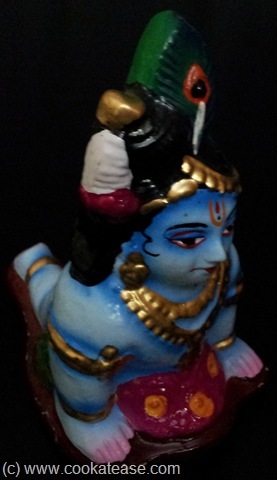 Whenever spirituality decays and materialism is rampant, then, O Arjuna, I reincarnate Myself ! 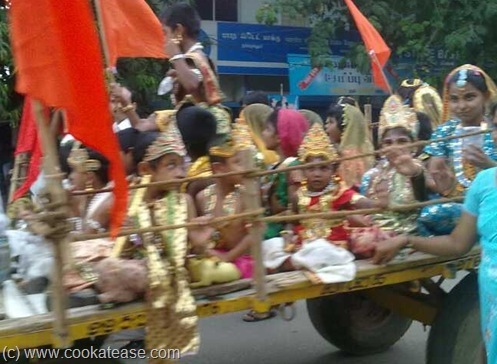 Here is a photograph showing children celebrating Gokulashtami. 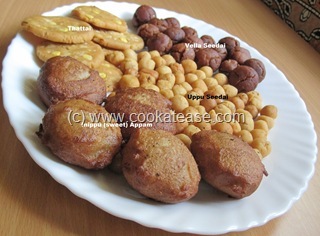 Here are some snacks prepared by me to celebrate Lord Krishna’s birth day and the Pooja.